I think Napoleon Dynamite is the best movie about friendship I’ve ever seen. Lots of people have reviewed that movie with comments like, “I just wasted two hours of my life,” or, “I kept waiting to get to the point, but it never came.” But for me, this cinematic gem is the quintessential friendship story. Listen, when Pedro hears the crowd cheering for him from backstage, and beneath that whack wig his face transforms, it hits me hard. That’s friendship, y’all. And what really affects me is the way Napoleon shows his devotion to Pedro. It leaves me teary-eyed and runny-nosed every single time. That fierce dance routine! There he was, practicing his moves in secret, being awesome because he was doing what he loved, never dreaming that one day soon, his best friend would be in trouble. And when that day came, Napoleon rescued Pedro with his unlikely talent: mad dance skillz. From that moment, we see a ripple of sweet side-effects triggered by one brief act of friendship. I want to be that kind of friend—one who can unleash happiness in others’ lives just by harnessing my weird interests. A lot of times we think of ourselves as doofuses that are just as awkward and bizarre as Napoleon. We think we don’t have anything useful to offer our friends, churches, or communities. Well, bust a move, sister, because I happen to know we’re all carriers of strange and beautiful gifts, trusted to us by the Creator. How can your passion for reading Gothic literature while listening to reggae ever help or inspire anyone? I don’t know, mention it to your book club and find out. Your penchant for crafting giant backyard dart boards? Who knows? But of this I’m confident: God gives us these passions and delights not only for our own enjoyment, but for the benefit of others. And when you share your abilities, the joy only increases. If you think your talent is useless if it doesn’t appear on a devotional list or a spiritual gift survey, think again. What do a tax accountant, a fisherman, and a tentmaker have in common? They were all apostles and bro-dawgs. I’ll bet this brotherhood blessed one another with their quirky hobbies and abilities all the time, don’t you? None of those guys thought they were going to end up preaching, and yet their unique skills helped them—both as individuals and as a team—to accomplish great things. And look at I Peter 4:10: “Each of you should use whatever gift you have received to serve others, as faithful stewards of God’s grace in its various forms.” Whatever gift, not just the cool ones! 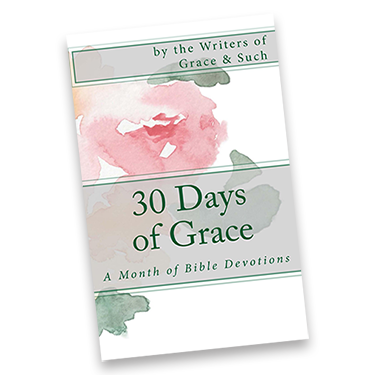 We’re keepers of grace in various forms, not only sophisticated forms. So you can disagree with me about Napoleon Dynamite if you want. But I know our weird quiver of talents is just what our friends, churches, and communities need. It’s an arrangement that’s as perfect as the closing scene with Napoleon and Deb playing tetherball as the sun slips behind the mountains. Have you ever used a weird talent to help a friend? What gift or passion can you share with others—even if it’s not on a list of common spiritual gifts? Good grief but that’s a wonderful movie review. And a wonderful way to look at friendship. It makes me want to watch the movie again to see what I missed in my 2-hours of wasted time. Too bad that the movie is known most often for his mad dancing skills, and not what you so sweetly saw in it. Great post, Cole. Man, do I love your gift for turning a phrase. Years ago, I was a kids ministry storyteller at a mega church. On the Sundays when it was my turn, I got to sing and dance, talk in foreign accents, put on crazy outfits, and whip kids into a frenzy. All for the sake of the Gospel. I took to heart King David’s words “I will become even more undignified than this.” Being a total nut in front of kids was a great way to help them fall in love with our triune God. I still miss it. Back then, I knew without a doubt, I was in the right place at the right time doing the right thing for the kingdom of God. I’ve watched you mesmerize adults, I know the kids must have been spellbound! And one of my favorite memories with you was when we were walking at Cedar Lakes and somewhere in the distance, a sheep bleated. You spun around and called out, “Baaa Ram Ewe! !” Then you picked up right where you’d left off in your sentence. It was superb 🙂 Love having you as my friend! Love this story and watched w/my son whose almost 21–more than once too! lol Thank you for your words to remind us of our gifts-quirkinesses from our wonderful Father!! Tammy R.
Great take aways, Cole! I never saw ND in quite this way, but I do now! I think one of the saddest things in life is when you quote fantastic pop culture and it’s lost on the person you’re quoting to. Wonderful words of encouragement! Our quiver of talents is so diverse, so useful when we make ourselves available to a loving God, who also has a great sense of humor.